In Earth Sciences and Cultural Heritage Science we can only understand the formation of the 'objects' if they are well characterized. Optical observation, including optical microscopy, is still the primary tool and is essential in obtaining a preliminary, qualitative determination of an object, to determine the relations between it and other objects, and to place it in a general context. Most of the time, however, optical observations are insufficient. Spectroscopic methods are the second "set of eyes" used to gain greater insight into these objects and to use physical chemistry, if applicable, to derive the mechanisms of formation. Spectroscopic methods are numerous and have been described in a previous volume (6) in the EMU Notes in Mineralogy series, edited by A. Beran & E. Libowitzky (2004). In chapter 7 of that volume, Raman spectroscopy was addressed by Nasdala et al. (2004). Though that volume provides a very useful means to gain a general understanding of the contribution of each spectroscopy to mineralogy, no details of the theory, instrumentation and applications to the different types of objects could be provided. 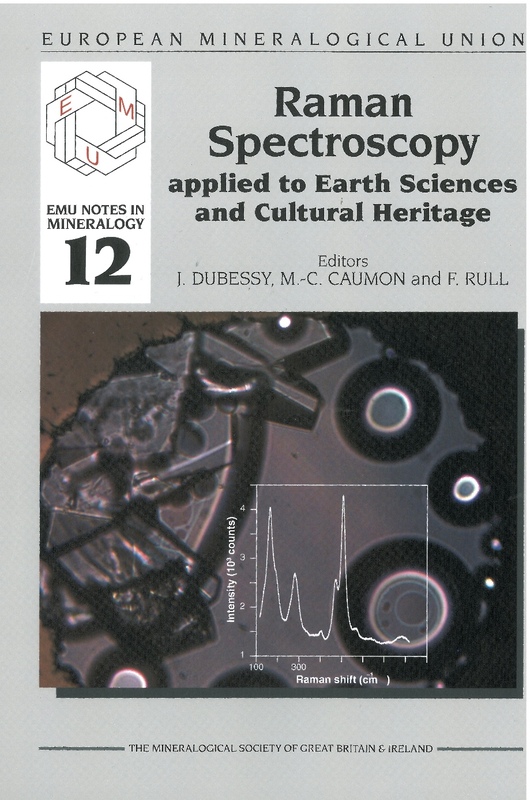 In the past eight years, there have been many improvements in the instrumentation which makes Raman spectroscopy a versatile technique used in many Earth Science and Cultural Heritage laboratories and so it appeared appropriate to have a school and a book dedicated to Raman Spectroscopy alone. Theory: in Chapter 1, dedicated to the Raman effect, in Chapter 4, dealing with the modelling of Raman spectra, in Chapter 2 to the links between fluorescence and Raman spectroscopy, in Chapter 10 for the exploitation of Raman spectra of minerals at high pressure and temperature, and in Chapter 12 for the rationale behind Raman spectra of graphitic carbon compounds; the basic theory of the instrumentation is developed in Chapter 3. Methodology including the instrumentation: in Chapter 3 and the Raman data analysis in Chapter 5. Experimental aspects: for the investigation of Raman spectra at high pressure and temperature using diamond anvil cells for minerals (Chapter 10) and geological fluids (Chapter 7) and with fused silica capillary for fluids (Chapter 6). Application: to different types of objects: geological fluids (Chapter 8), silicate glasses and melts (Chapter 9), biogeology and astrobiology (Chapter 11), graphitic carbons (Chapter 12), gemmology with a link with fluorescence spectroscopy (Chapter 13), and Cultural Heritage (Chapter 14). A given chapter may address several topics, as it is impossible to obtain relevant information from the Raman study of a given object without considering the theory for the interpretation of the spectra, or instrumental set-up including special cells, or handling raw spectra. It is also clear that the whole theory could not be developed thoroughly with all the details as it deals with quantum mechanics and group theory. This would require at least two further volumes! Thus, chapters focused on the theoretical aspects are written with the aim of giving the main steps and the results obtained from the theory and how theory can be used for the interpretation of Raman spectra. Readers who want to know the details of the theory and their associated calculations should consult specialized textbooks or publications which are referred to in the chapters hereafter. Nasdala, L., Smith, D.C., Kaindl, R., Gaft, M. & Ziemann, M.A. (2004) Raman spectroscopy: Analytical perspectives in mineralogical research. In: Spectroscopic Methods in Mineralogy (A. Beran & E. Libowitzky, editors). EMU Notes in Mineralogy 6, Eotvos University Press, Budapest, pp. 281-343. Beran, A. & Libowitzky, E. (2004) Spectroscopic Methods in Mineralogy. EMU Notes in Mineralogy 6, Eotvos University Press, Budapest, 661 pp. i-xvii + 504 pages. ISBN 978-0-903056-31-1.